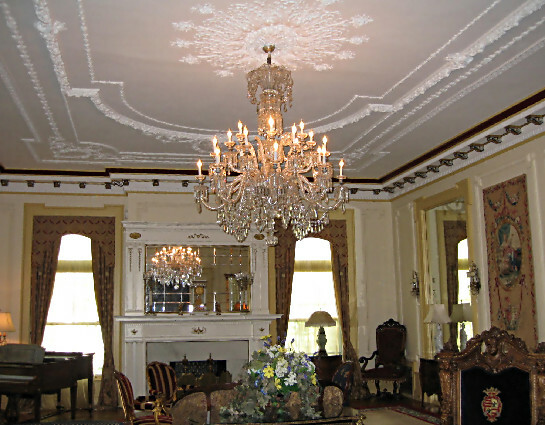 The sitting room in the Boettcher Mansion, now used as the Governor’s residence, is highlighted with the large chandelier in the center of the room. The chandelier was given to the State of Colorado by Ulysses S. Grant in 1876 to celebrate Colorado’s entry to the union. At some time the White House asked for the return of the chandelier, but the state refused. This entry was posted in Photography, The West and tagged Boettcher Mansion, colorado, Colorado history, Denver, Photography.